The 2012 NBA Finals was the championship series of the 2011 – 2012 season of the National Basketball Association (NBA), and the conclusion of the season’s playoffs. The Eastern Conference champion Miami Heat defeated the Western Conference champion Oklahoma City Thunder 4 games to 1 to win their second NBA title. 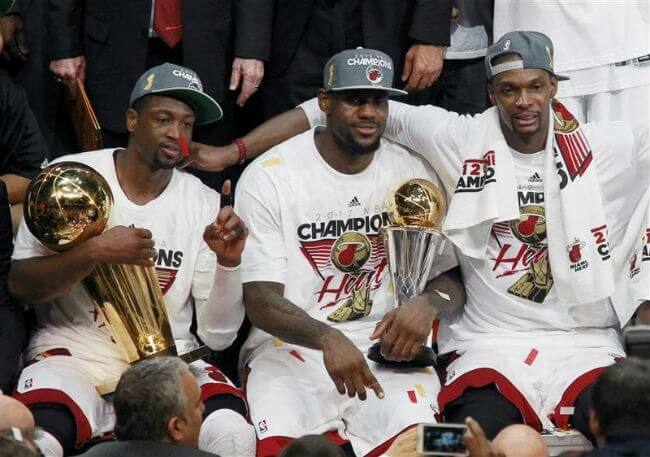 Heat forward LeBron James was named the Finals MVP.